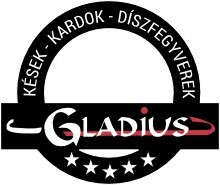 GLADIUS KARD TOKKAL Legacy Arms Roman Gladius Short Sword. 29 1/2" overall. 22" 5160 high carbon spring steel double edge blade. 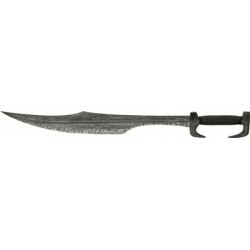 Patterned from the original sword found in the ruins of Pompeii (reliably dating from 79 CE). 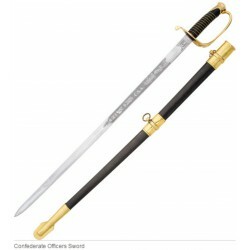 Confederate Officers Sword - 39 1/2" overall. 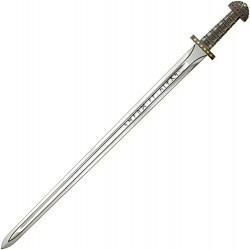 33" unsharpened steel blade with decorative etch. Black imitation leather handle with brass wire wrap. Brass hand guard. Black coated metal scabbard with brass fittings. 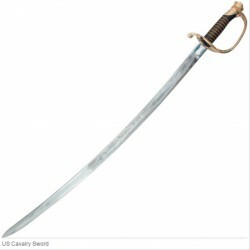 US Cavalry Sword - 38 1/4" overall. 33" unsharpened carbon steel blade. Black leather handle with brass wire wrap. Brass hand guard. Gun blued metal scabbard with brass trim. 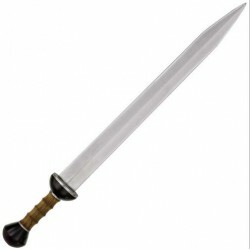 Combat Commander Gladiator - 24" overall sword. 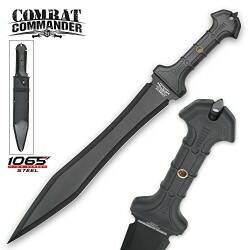 16 5/8" black-coated 1060 carbon steel blade. Slip-resistant TPR rubberized handle with skull crusher pommel. Reinforced nylon belt sheath. Teljes hossz. : 100 cm. 420J2 Rm. polírozott penge, viking felirattal díszítve. Kövekkel díszített öntvény markolat. Viking grafikával díszített fából készült fali plakett. Sorszámozott , eredetiség igazolással. ELŐRENDELÉSRE !